Have you been wondering what it’s like to breathe underwater? If you want to find out but aren’t quite ready to take the plunge into a certification course, Discover Scuba, is just the thing for you. 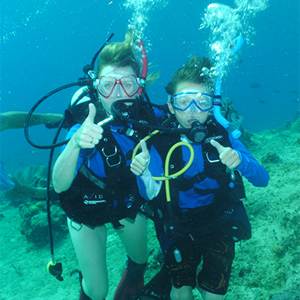 The crystal-clear and warm water of Cozumel is the perfect place to try scuba diving. 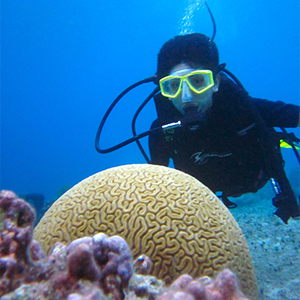 You will be amazed at the colorful coral and variety of beautiful fish you will find diving in this island paradise. The Cozumel Discover Scuba course is perfect for those that are not sure if they would like scuba diving and are not ready to invest the a complete PADI certified course. Though we are sure you will love it, at least you will know for sure by the end of the day. The Discover Scuba is a two hour course consists of 45 minutes of discussion on what you should expect in the course. You will be instructed to do some simple skills and the proper use of the equipment. Your PADI certified instructor will take you the to beautiful shore and you will perform the simple skills and get comfortable in the water with the equipment. 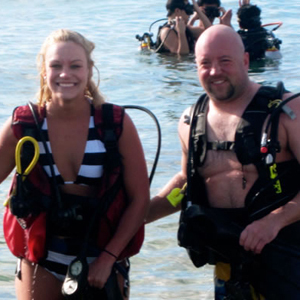 This course includes all equipment, instruction and a beach dive with your PADI certified instructor. Private Charters are Available, Please Inquire by Clicking —->HERE!